B.Flavell, Solihull: "Adressed the door issue quickly and professionally. 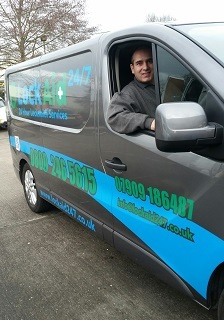 Would recommend to anyone seeking a knowledgable locksmith." R.Coombes, Solihull: "Whilst repairing our door Adrian pointed out a few security issues and rectified those whilst here. I feel much safer knowing our locks are now up to insurance standard." 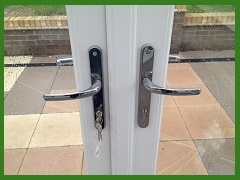 Are you finding that your upvc door lock is stiff to lock, crunching or just not locking at all? Chances are that it's in need of some urgent maintenance before it inevitably fails, never to open again. It's generally cheaper and less stressful to get these issues sorted as soon as you notice them. The majority of the time all that's required is a few tweaks here and there to repair your door issue. Often though, people will continue forcing the door which puts excessive stress through the internal gears that eventually shatter and jam. However far gone your door problems are, we are able to unjam, repair and re-adjust problem doors for you. It's not just uPVC door locks that are repairable. 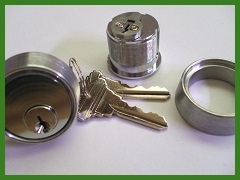 I stock a range of parts for the repair and replacement of all domestic and commercial doors. 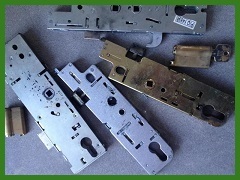 With a large network of trade contacts I am able to source specialist or obsolete parts to repair aluminium door locks, roller shutters and doors with special access requirements. 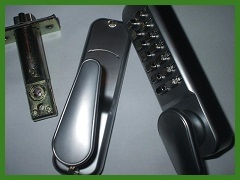 Having repaired doors in Solihull for numerous local firms and shopfronts as well as all my domestic customers you can trust and rely upon my locksmith and door repair services.